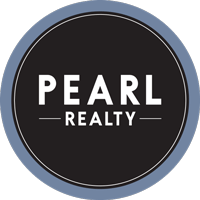 Jeff Kreis is the Director of Residential Sales for Pearl Realty. Since 2012, he has personally sold over $100,000,000 in North Idaho residential real estate and been instrumental in making us the #1 Selling Real Estate Team in North Idaho. Jeff has successfully negotiated some of the highest priced and most complex residential sales in the Coeur d’Alene Multiple Listing Service. He is an incredibly talented negotiator and expert when it comes to the micro-markets of North Idaho real estate (Coeur d’Alene, Hayden, Hayden Lake, Lake Coeur d’Alene Post Falls, the Spokane River and surrounding communities). Jeff follows the fundamentals of the brokerage which are hospitality and relationship based. Prior to becoming a top selling real estate agent in Kootenai County, Jeff earned his Bachelor of Science Degree in Education from Montana State University and was an elementary and middle school teacher as well as a head basketball coach. He later became the Pro Shop Manager and Tournament Director for the Coeur d'Alene Resort Golf Course, and worked with corporate clients such as Mohawk, Coldwater Creek, and Idaho Governors Cup. In his free time, Jeff enjoys seeing his favorite musicians in concert throughout the Pacific Northwest as well as traveling to sunny destinations with his wife, Katie and two darling children, Jack and Lucy.